Macquarie Ice Rink has, for more than three decades, been Sydney’s most iconic ice skating destination for thrill seekers. From newbies to recreational skaters, professionals and even global champs, this ice rink is the perfect playground for a ice skating adventure. 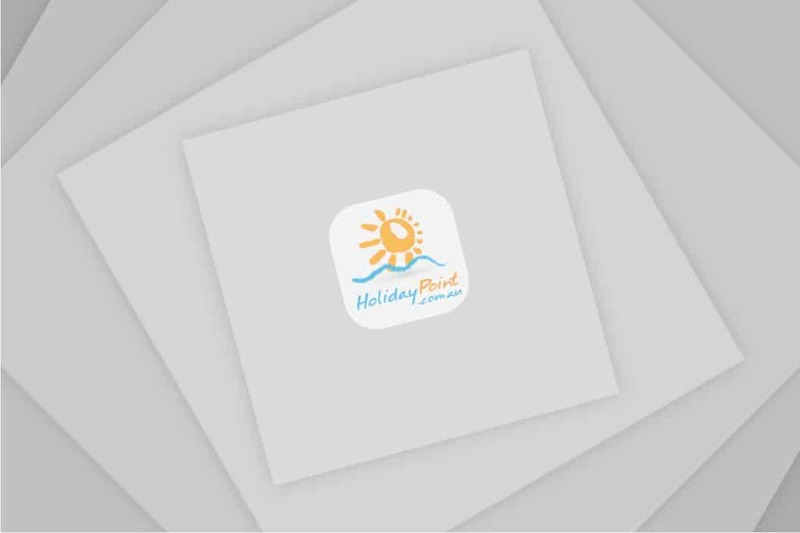 With an array of handy programs, visitors are spoilt for choice at this adventurous facility. The Learn to Skate Program is designed for individuals from 4 years and encompasses just about every ability level. The beauty about this program is that students get to excel at their own pace. Program classes are led by qualified and professional coaches. Kids below four are not left behind, as there is the option of joining the Macquarie Ice Rink Kiddies Club that caters for pre-schoolers between two and five years of age. The Club hosts classes on weekdays between 9:45am and 10:45pm. Bookings are not required for this club. Visitors looking for a recreational activity will certainly enjoy the Coffee Club, which provides sessions for social skating. This program is inclusive of a one hour group session with complimentary coffee and sandwiches (on some days). This club runs concurrently with the Kiddies Club throughout the school term – not available during the school holidays. The Coffee Club is a popular option because it caters for skaters at all levels. 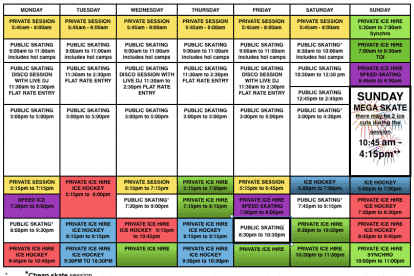 For skaters who feel they could do with one-to-one attention, the availability of private lessons does great to help one improve their skills. These lessons are typically available during both private and general sessions. Bookings must be made in advance for private lessons. Look out for ice hockey while at the Macquarie Ice Rink. Perfect for ice hockey lovers, this makes for an exhilarating adventure that is as fun, as it is challenging. 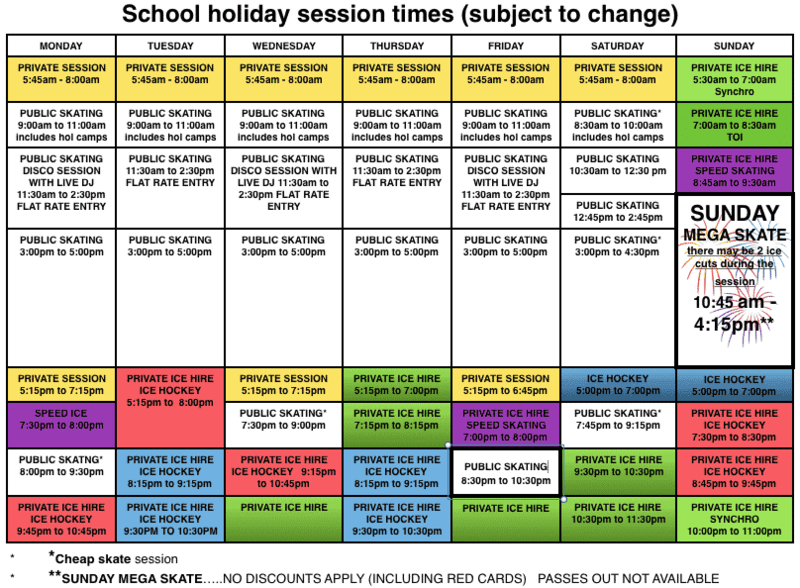 Interested visitors need to make advance bookings, and must have attained the novice level in the Learn To Skate program to qualify. The Ice Rink is an ideal destination for groups looking for a unique setting, whether for birthday parties, group activities or corporate events. To enjoy all these, make your way to Macquarie Ice Rink located in the Macquarie Shopping Centre at the corner if Herring and Waterloo Roads. 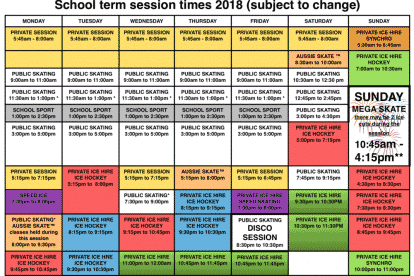 Public Skating is generally between the above hours, but please check the session times in advance as times vary each day - as well as term and school holiday dates.